If conditions allow, the Parks staff clear a skating rink and skating path close to Anniversary Park for the public to use. Please be aware that while the Parks Team can provide you with the most current ice thickness (see below) you skate on the lake at your own risk. Before skating on the Lake make sure to check the ice depths to ensure if is safe for use. You can find ice depth information updated weekly on this page. All City rinks are unsupervised areas. The City of Chestermere is not responsible for loss of injury to rink users or damaged property. Rink users assume the risk of any injury that may occur using the rink. It is recommended that children under the age of 12 be accompanied by an adult. Wearing a helmet is strongly encouraged and protective padding is highly recommended. You must leave the ice during scheduled maintenance. Note: The Parks division will be maintaining the rink ice surface, sitting areas and pathways to the rinks on weekdays only. To report any maintenance issues please call the City Parks Division at (403) 207-2807. Some residents enjoy cruising down the frozen lake in their snowmobiles or on ATVs. Enjoy but please check the ice thickness before you go and note that you use the lake at your own risk. The City takes ice depth readings every 7 days at the locations stated below. Please note that while no ice is considered safe, the Parks Team takes measurements at several locations. While ice rescue services are available from Protective Services, you use the Lake and any ice surface at your own risk. Note: The City does not give permits for any recreational activities on storm ponds. The water levels and ice thickness changes throughout the winter due to the freeze-thaw cycle and it is unsafe to be on these ponds. If residents choose to go on these ponds, they do so at their own risk. 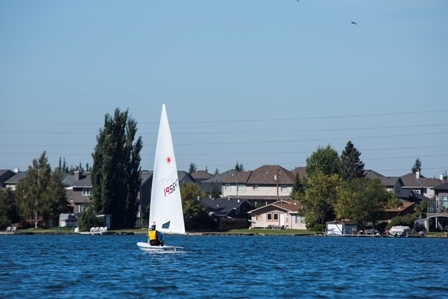 Chestermere Lake is a beautiful, 4.8 km long lake that provides many opportunities for residents to relax and enjoy the water. Learn more about the Aquatic Rescue available at Chestermere Lake. 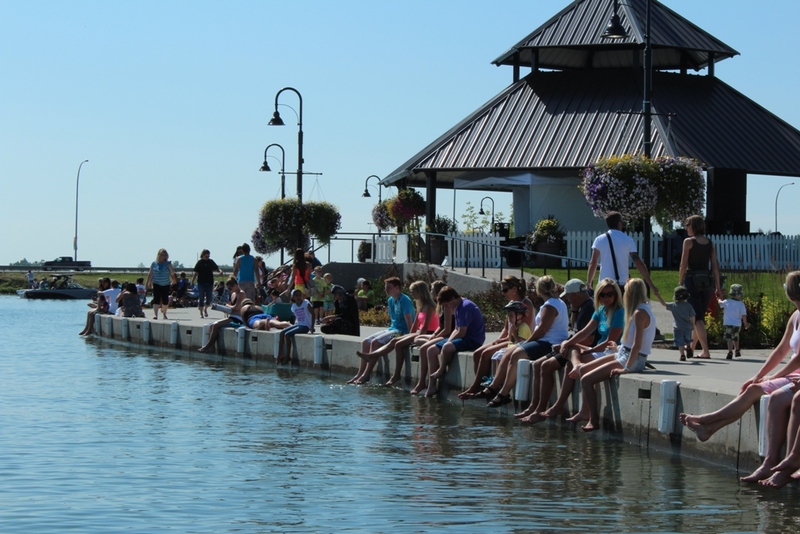 Boaters are welcome on Chestermere Lake. Check out the Boat Launch page for information on how to get on the water and then feel free to enjoy the wind in your hair, get out on a wakeboard, waterskiis, or tubes. While we invite you to enjoy all of these activities on the south end of the lake, the speed limit north of the bridge is 12 km / h. Please abide by all boating rules and regulations. While motor boats are popular on the lake, you are also welcome to use non motorized boats such as canoes, kayaks, sailboats, paddleboats, and many more. Fishing is welcome on Chestermere Lake. There have been several very large fish that have been caught in the lake and the next one could be yours. Be sure to get your fishing licence before you cast your line. There are several lakeside parks in Chestermere that are available to the public. Check out our Parks and Pathways page to find the parks that have a boardwalk, beach volleyball, picnic facilities, and BBQs. Buoys are placed near the parks during the summer (Anniversary and John Peake Park) that mark shoreline areas that can be used for swimming. Please be advised that you swim at your own risk. There are no lifeguards on duty.